I recently participated in my first hackathon that was strictly focused on user experience (UX). 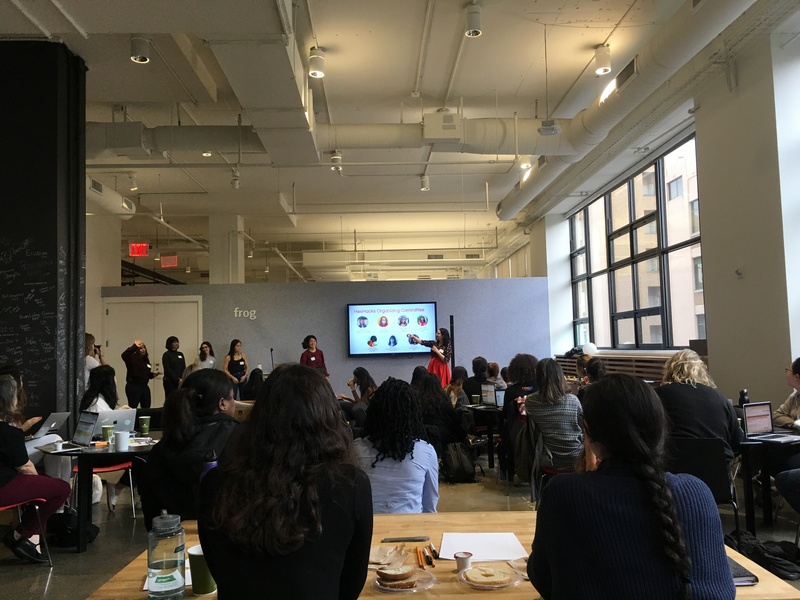 The hackathon, #HexHacks, was conceived by Hexagon UX, an organization that advances diversity in tech by supporting and empowering a community of women and non-binary people at various stages of their careers. 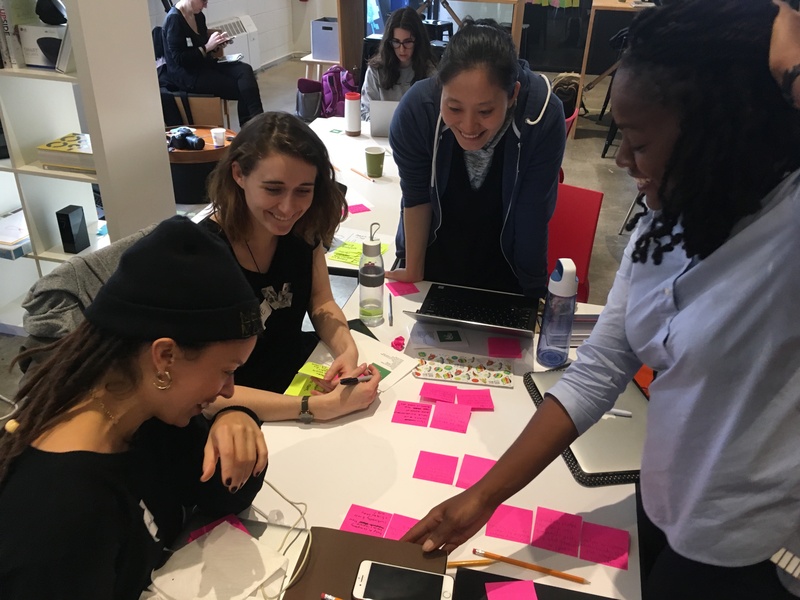 Having a number of hackathons under my belt, I was especially excited about this hackathon because it focused on employing design thinking to solve issues around underrepresented communities. 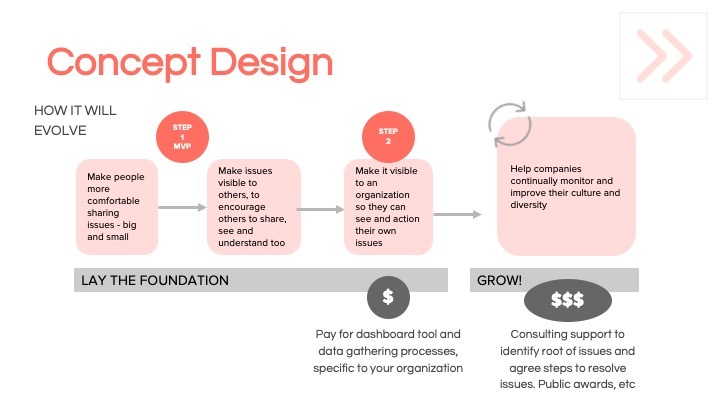 Inspired by events we’ve heard or witnessed, my team focused on designing a solution to mitigate bias in the workplace. With women’s empowerment songs blaring in the background, we were eager to begin our ideation phase by writing various ideas about unconscious bias and its effects. 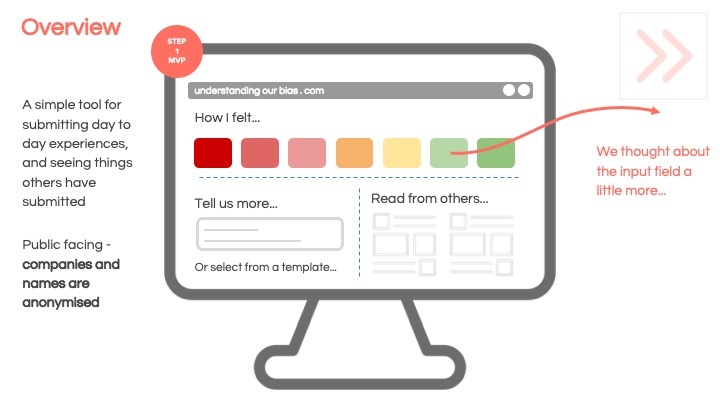 How might we support employees in feeling comfortable reporting the biases they experience day to day, both big and small? The consequences of workplace bias (job turnover, frequent sick leave, decreased individual and group workplace contributions) have severe ramifications for company productivity over time. 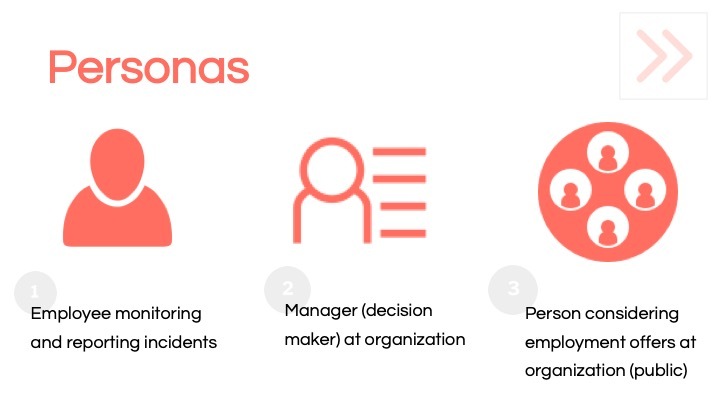 We identified three key audiences for our platform: employees, managers/leadership, and potential employees (public-facing format). We designed a desktop-based platform that would allow anonymized reporting of incidents using natural language understanding to analyze the pattern of these reports, along with metrics to track how long a case remained open, the resolution, and the satisfaction for the resolution. 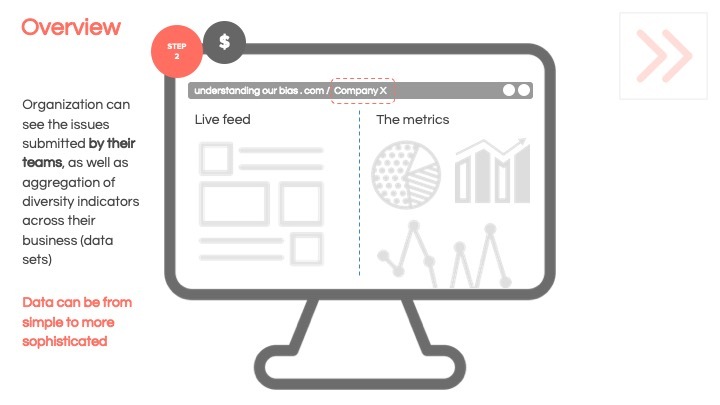 In order to make this a sustainable product, consulting services and enterprise support for customizable analytics would be sold as a subscription model. Once we created our presentation deck, we pitched it to the judges and the #HexHacks community and we won second place! We were super happy to work on a project that was well received but we were even more excited to think about ways of bringing this project to life. Of all of the hackathons I’ve participated in, this was the most rewarding, as our team collaborated on a project that we were all passionate about and flexed our design muscles in the process. So, what’s next? We’re now self-organizing to develop the prototype, which I hope to share soon!